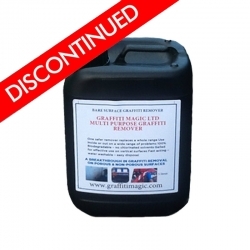 We no longer stock this product, but can recommend AG3 Graffiti Remover as a great alternative. We no longer stock this product, but can recommend Nu-Guard AG Adhesion Promoter as a great alternative. 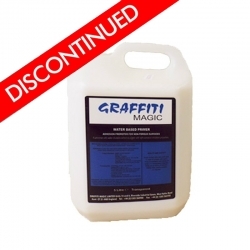 We no longer stock this product, but can recommend AG4 Graffiti Remover as a great alternative. We no longer stock this product, but can recommend Nu-Guard AG as a great alternative. We no longer stock this product, but can recommend Nu-Cryl WRS Extra as a great alternative. 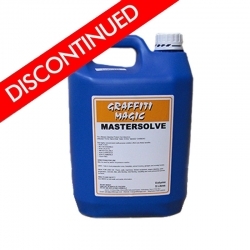 We no longer stock this product, but can recommend Mona-Clean Mastersolve as a great alternative. 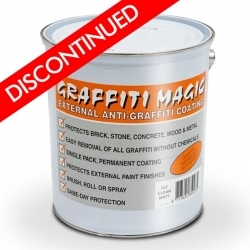 We no longer stock this product, but can recommend Nu-Guard WB Concrete Sealer as a great alternative. 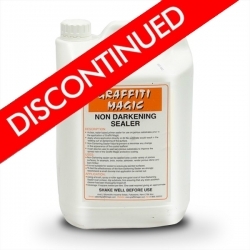 Graffiti Magic Non-Darkening Sealer is a clear, water based primer sealer for use on porous substrates prior to the application of Graffiti Magic. 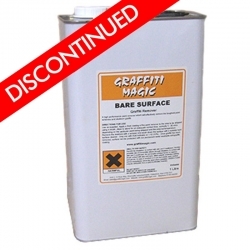 Use Graffiti Magic Non-Darkening Sealer where application directly onto the subtrate would result in the ‘wetting out’ or darkening of the surface. We no longer stock this product, but can recommend Nu-Guard AG Clear/Colour as a great alternative. 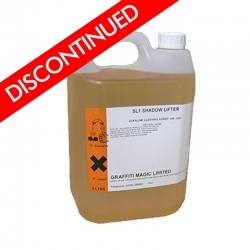 We no longer stock this product, but can recommend SL1 Shadow Lifter as a great alternative. 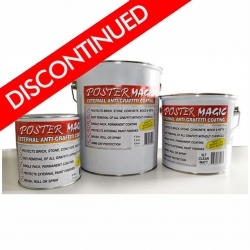 Graffiti Magic provide solutions for graffiti removal and protection, they have a proven track record of projects where cost effective, simple graffiti protection has been provided to a wide range of surfaces. Often a project is commissioned due to a graffiti attack, this will require removing before applying a protective coating to prevent further attacks from occurring. Graffiti Magic pride themselves on unique technology, ease of application and proven performance, their signature product is a unique clear coating that can be applied to almost any surface, that means any graffiti can be cleaned off, with just soap and water and as a further bonus, treated surfaces resist the adhesion of posters and printed materials. 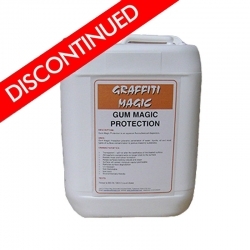 Like Graffiti Magic Paint, another popular product, which is becoming more in demand in large public areas, like shopping centres, parks and playgrounds, is the chewing gum protection solution, which is applied as a clear coating and prevents chewing gum from sticking to surfaces - metallic, concrete and stonework. It is often used in museums and public displays, car parks and any sized pedestrian areas.